And the Moynihan thesis? It holds here as well. A bi-partisan majority of 73% passed the bill in the Senate. A bi-partisan majority of 70% voted “yea” in the House (on the the Senate version of the bill). *Of course, Democrat numbers would have been better had it not been for their Southern siblings who voted 8 – yea, 107 – nay on the bill. Forbes magazine claims that in these pages and with this chart, “Obama Officials [said] In 2010: 93 Million Americans Will Be Unable To Keep Their Health Plans Under Obamacare.” I’m not sure if Forbes’s analysis is accurate, but there’s no doubt that Obama officials knew that lots of people with group and individual health insurance were going to lose their grandfathered status, and thus the health insurance that they presumably liked, by the end of 2013. Later I began to wonder, what was the vote on the original Social Security bill? Medicare and Medicaid? The Ways & Means Committee Report on the Social Security Act was introduced in the House on April 4, 1935 and debate began on April 11th. After several days of debate, the bill was passed in the House on April 19, 1935 by a vote of 372 yeas [including 81 of 102 Republicans], 33 nays, 2 present, and 25 not voting. . . .
H.R. 6675, The Social Security Admendments of 1965, began life in the House Ways & Means Committee where it passed the Committee on March 23, 1965 (President Johnson issued a statement in support of the bill after the favorable Committee vote) and a Final Report was sent to the House on March 29, 1965. The House took up consideration of the bill on April 7th, and passed the bill the next day by a vote of 313-115 [including 70 out of 140 Republicans] (with 5 not voting). For those without a calculator, Social Security passed with 86% of the vote in the House and 81% in the Senate. Medicare passed with 71% of the vote in the House and 70% in the Senate. Both bills had strong, bi-partisan support. In contrast, the Affordable Care Act garnered just 50.57% of the vote in the House and 60% in the Senate–without a single Republican vote. I repeat, it was hubris that killed the beast. -[if an employer] decreases its contribution rate [essentially, by more than 5%]. A final comment. The HHS regulation makes sense. The Affordable Care Act is supposed to deliver better healthcare–supposed to. And the regulation is an attempt to deliver on that promise to those with existing plans that they like and want to keep. Each of the reasons for terminating your coverage makes sense if you accept the premise that the requirements represent a safety net, a blockade to prevent your health insurance company from reducing your benefits. But that’s not how President Obama sold the Act. As the videos linked to above demonstrate, he promised unequivocally that you could keep your health insurance, no if, ands, or buts, and knowing full well that you probably would not be able to. Would the Act have passed if he had been up front about this? I don’t think so. I’ve been watching the Sebelius/Obamacare hearings this morning. The Secretary keeps reminding us that the ACA is the law of the land. Her choir members on the dais use their solos to remind viewers that Republicans should be rooting for the ACA rather than gloating over the website’s failures. And they may be right. But then there’s this: the ACA passed on the barest of majorities. In the House, the vote was 219-212–with not a single Republican saying yes. In the Senate, it was 60-39, again with no Republican (Senator Jim Bunning, R-Ky, did not vote). If you prefer your votes in terms of percentages, the vote in the House was 50.57% to 49.43%, in the Senate, 60% to 39% (and that vote ignores the shenanigans the Senate employed to act before Scott Brown joined that august body). Add all the ayes together, and you’ll find that 50.15% of Congress voted for the law, and 46.92% said no. And with that and President Obama’s signature, the Affordable Care Act did, in fact, become the law of the land, and the Federal government assumed control of 1/6th of the economy of the United States. If the Affordable Care Act fails, it will not be because Republicans opposed it. It will be because Democrats ignored the advice of Moynihan and Emanuel: massive, historic legislation requires massive, bipartisan support. If you don’t have it, you suffer the consequences. Hubris. It was hubris that killed the beast. 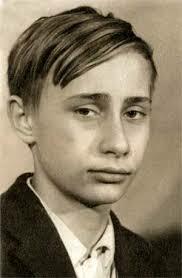 If you guessed Vladimir . . . He was cuter when he wasn’t such a thug. Third, we are doing everything we can possibly do to get the websites working better, faster, sooner. We got people working overtime, 24/7, to boost capacity and address the problems. Experts from some of America’s top private-sector tech companies, who’ve, by the way, have seen things like this happen before, they want it to work. They’re reaching out. They’re offering to send help. We’ve had some of the best IT talent in the entire country join the team. And we’re well into a tech surge to fix the problem. And we are confident that we will get all the problems fixed. President Obama, yesterday in the Rose Garden. The second fallacious thought mode is expressed in the very unit of effort used in estimating and scheduling [a programming job]: the man-month. Cost does indeed vary as the product of the number of men and the number of months. Progress does not. Hence the man-month as a unit for measuring the size of a job is a dangerous and deceptive myth. It implies that men and months are interchangeable. When a [programming] task cannot be partitioned because of sequential constraints, the application of more effort has no effect on the schedule. The bearing of a child takes nine months, no matter how many women are assigned. Many software tasks have this characteristic because of the sequential nature of debugging. Without comment, other than to say that as good as my street contacting was 40 years ago in Brazil–Rio, Vitoria, and Joao Pessoa–I was no match for what these NYC missionaries did. Is it Anti-Science to say that Science Needs to Clean Up its Act? The Economist says there’s Trouble at the Lab. Nick Brown Smelled Bull. What’s going on here? Where’s the rational, reasoned thinking we are told is the hallmark of science? This [that too many scientists use inappropriate statistically techniques] fits with another line of evidence suggesting that a lot of scientific research is poorly thought through, or executed, or both. A butterfly graph, the calling card of chaos theory mathematics, purporting to show the tipping point upon which individuals and groups “flourish” or “languish.” Not a metaphor, no poetic allusion, but an exact ratio: 2.9013 positive to 1 negative emotions. Cultivate a “positivity ratio” of greater than 2.9-to-1 and sail smoothly through life; fall below it, and sink like a stone. The theory was well credentialed. Now cited in academic journals over 350 times, it was first put forth in a 2005 paper by Barbara Fredrickson, a luminary of the positive psychology movement, and Marcial Losada, a Chilean management consultant, and published in the American Psychologist, the flagship peer-reviewed journal of the largest organization of psychologists in the U.S.
Brown, a 52-year old part-time master’s student at an obscure London university with a degree in computer science, would have none of that. So off he went. The story of his campaign against this particular piece of bad science is well worth the read. [S]cientists themselves . . . “need to develop a value system where simply moving on from one’s mistakes without publicly acknowledging them severely damages, rather than protects, a scientific reputation.” This will not be easy. But if science is to stay on its tracks, and be worthy of the trust so widely invested in it, it may be necessary. Apparently the emperor isn’t the only one in need of some new clothes. Richard Dawkins, call your office.